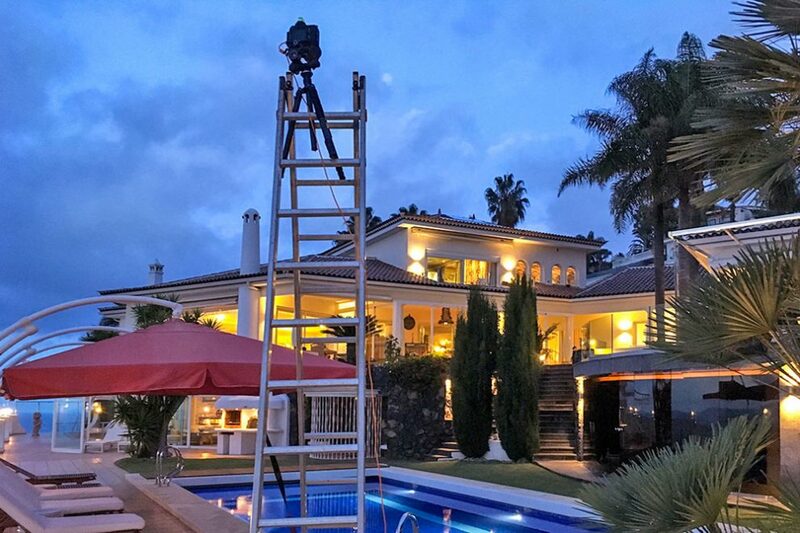 The assignment to shoot this luxury villa on Tenerife Island comes unexpectedly – as usual. In early November I get a call from Spain. The very kind owner had visited my on-line presentations and asks if I could photograph her property on this Canary Island. She briefly describes this estate and it is immediately clear that a very attracitve assignment is waiting for me. The contractual stuff is clear soon, flights and rental car are booked and two weeks later my assisant and I get on a plane to the island in the Atlantic. Of course such an assignment needs to be prepared thoroughly. The suitable equipment needs to come on board, but no redundant stuff should be added to the luggage. Thus I decide to travel high quality and light at the same time. My favourite heavy tripod has to stay at home and is replaced by a light carbon fibre camera stand. Also the big lighting system is left behind in the studio, because the light flooded rooms make possible using compact speedlights. After having inspected the old photographs of this property on the internet it was clear which optics would find their way into the photo bag. And of course a lot of little helpers travel with me. My packing list finally consists of 62 items and the whole equipment weighs about 33 pounds. In hindsight can be said that this choice fitted best: Almost all parts came to action, nothing was missed on-site. After a calm flight we are welcome on Tenerife with summer-like 77°F, sun and decorative photo clouds in the sky. Just right to take beautiful images. After a short drive we are received at the propery and instantly invited for a tour around the real estate. 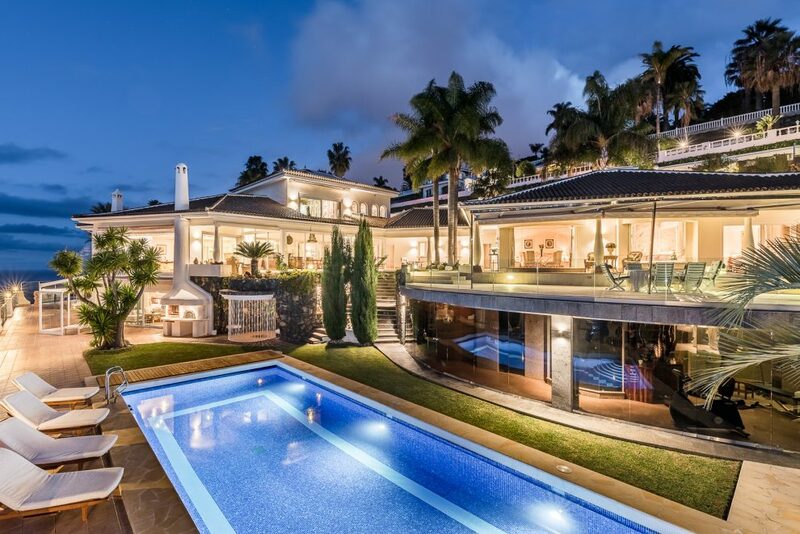 It is breath-taking to discover this spacious villa (10,500 sqft) with its unobstructed view to the Atlantic Ocean. 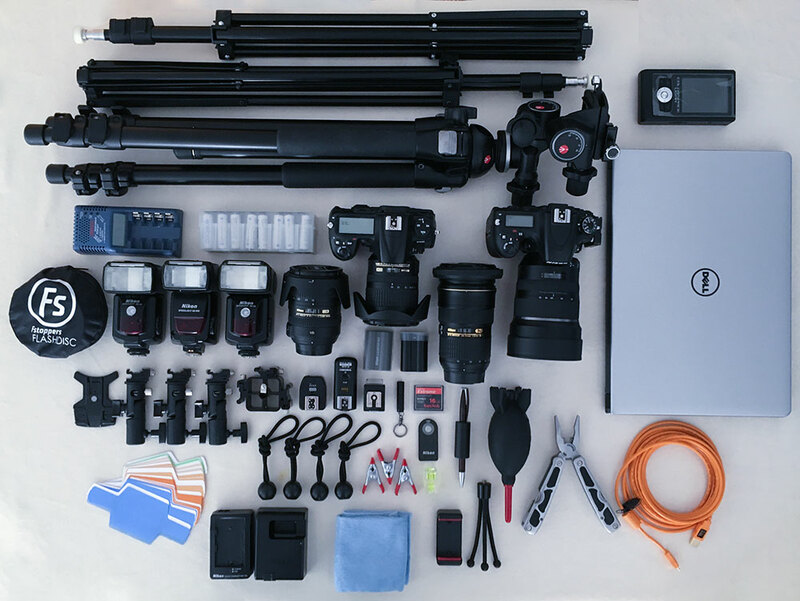 Order, tidiness and a decent furniture set expectations high for beautiful photographs. My shot-list becomes even longer every minute we walk around. In the following three days many hundreds of exposures lead to a lot of excellent images. The owner herself does the staging of some scenes. We take our time to work with the decoration material on-site. The tracker on my mobile phone tells me, that I had walked every day between 3 and 5 miles just within the property. 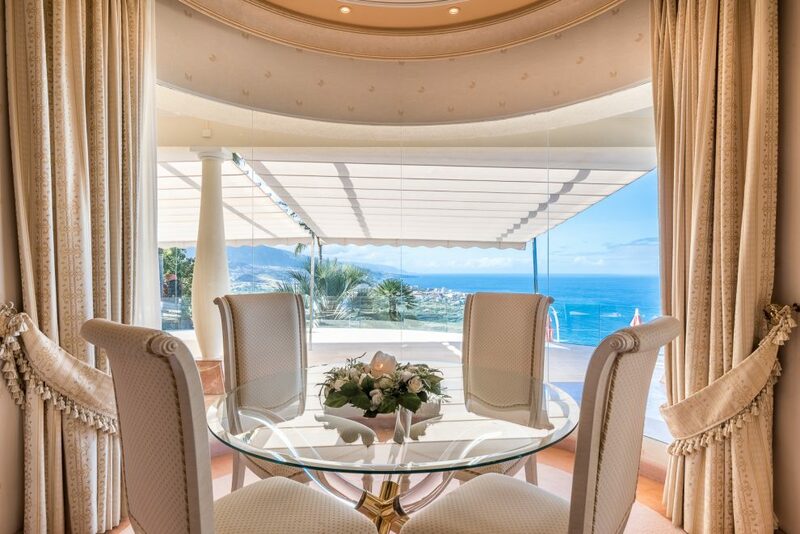 In the end we get great images, which underline the spacious ambience of this property. 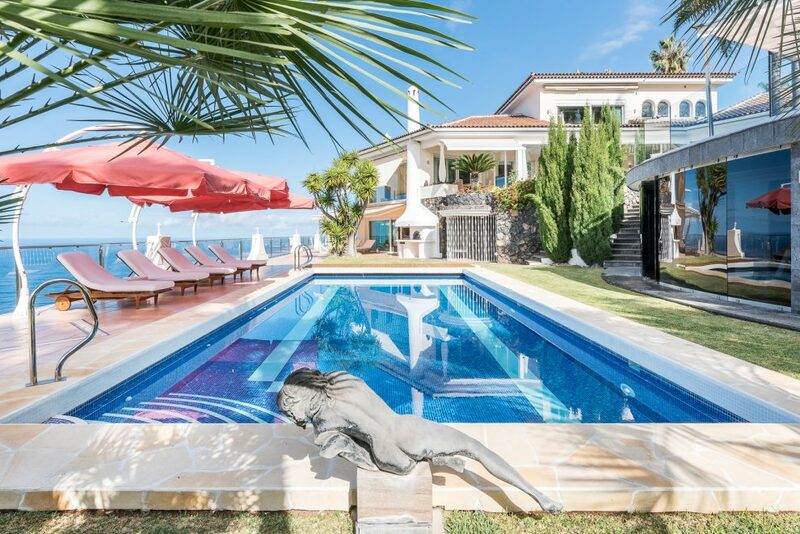 The owners will use these photographs for their promotion, because the villa with its 5 bedrooms, luxury bathrooms, a vast number of leisure amenities, the heated swimming pool, the in-house bodega and the fascinating sea view is for holiday rent. Their clientele are famous people from sports, show biz and the economies and should enjoy all the luxury in this private spot in the future. 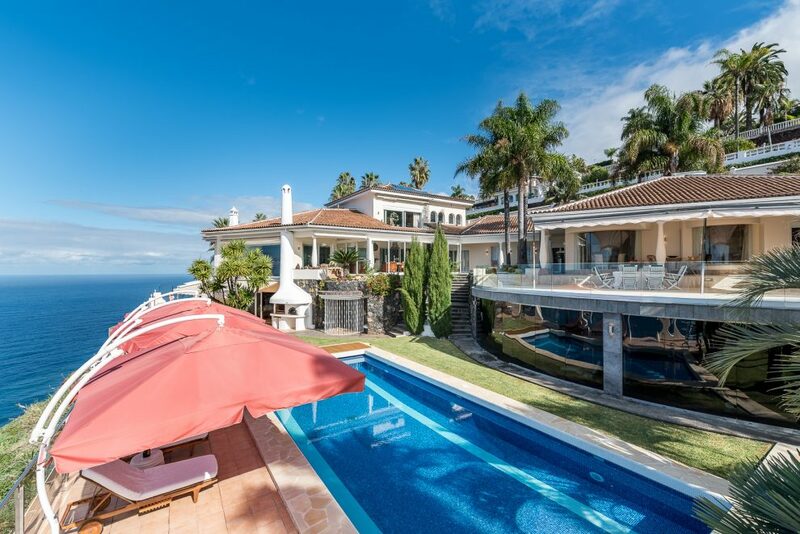 Fascinating impression of this luxury property on the Canaries. 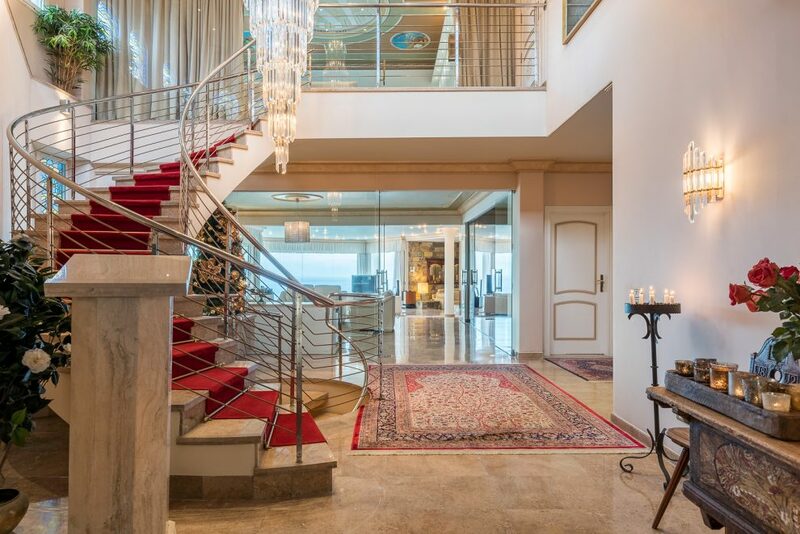 The spacious entrance hall gives an idea of the luxury and the dimension of this real estate. 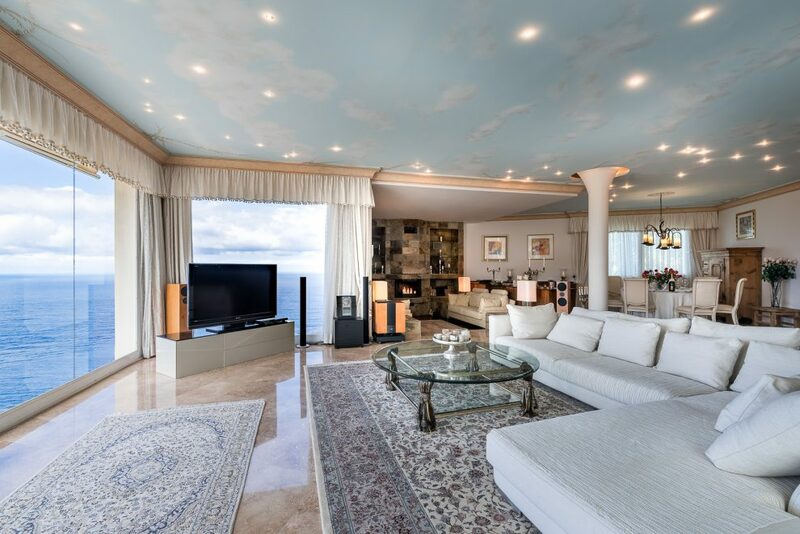 1,500 sqft living room with a gigantic panorama window for watching the sunset over the Atlantic. 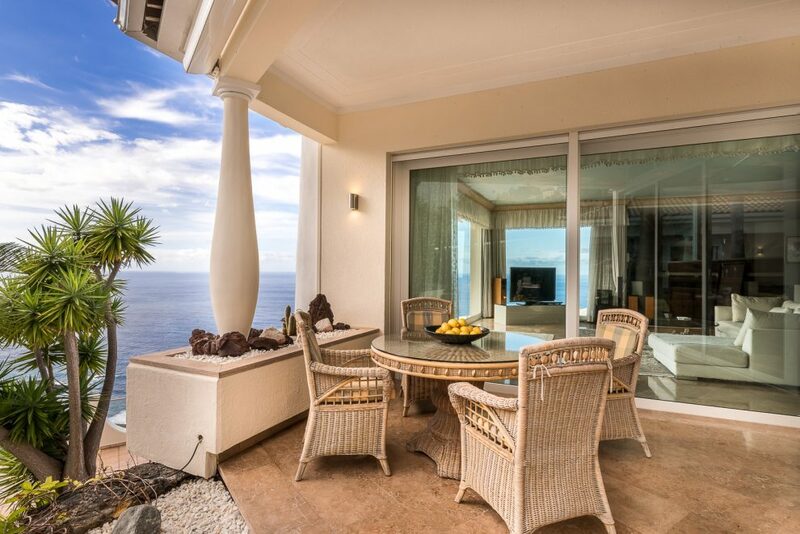 All over this property there are small and large patios – always with sea view. The heated swimming pool is center of all activities on this real estate. The furniture style ranges from elegant to modern. Here a rather classic appartment. Even at night the villa is surrounded by a very impressive ambience.